This entry was posted on Saturday, September 29th, 2012 at 12:38 pm and is filed under Diplomatic, Europe, Export plates, France, Historic, Temporary Importation. You can follow any responses to this entry through the RSS 2.0 feed. You can leave a response, or trackback from your own site. Actually, often, you should decoded by Immatriculation Temporaire (Temporary Registration) not the same translation at all !!! 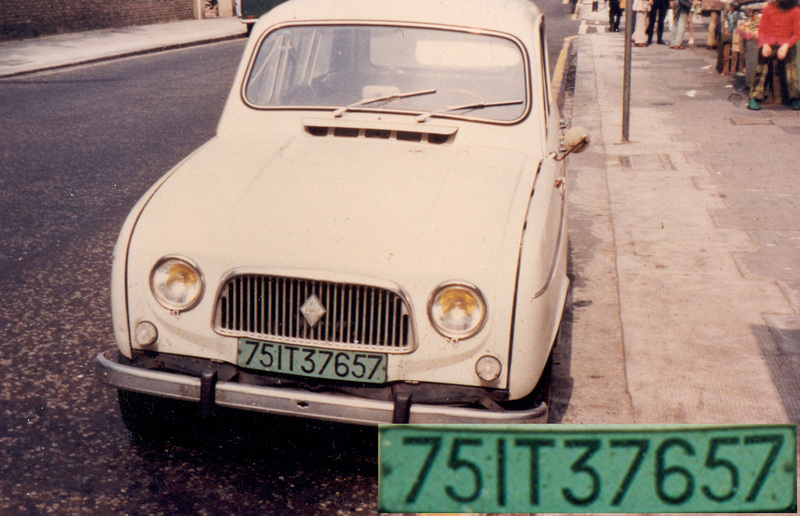 Thanks, Yves – but why was the above Renault 4L registered in France in the green IT system, if it was not destined to be taken abroad, or had been temporarily brought to France from abroad? (Indeed, if it had been bought for export, it would have been given a red TT plate….) So I am still not clear – any more thoughts? I can provide information about IT green plates… I would not either comment about the meaning of IT (even if Importation Temporaire seems appropriate). 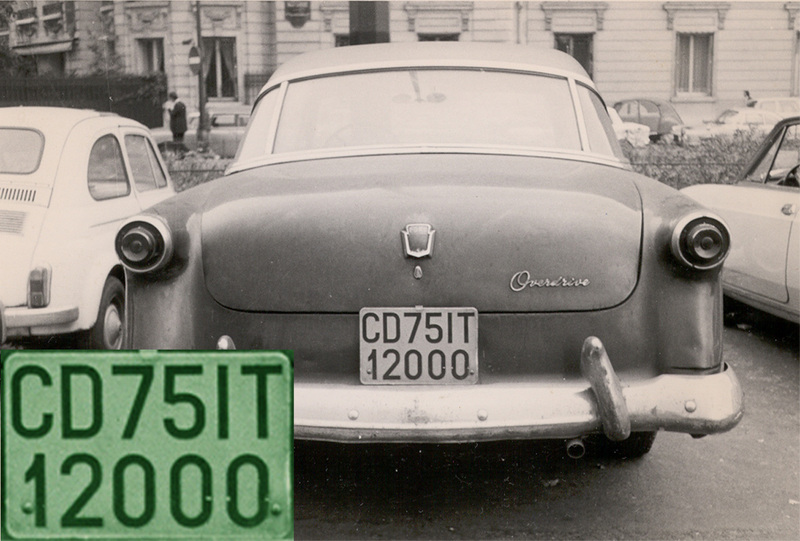 The green IT series has been used between 1954 and 1964/65 for vehicles used on a tax free basis by diplomats and assimilated people. 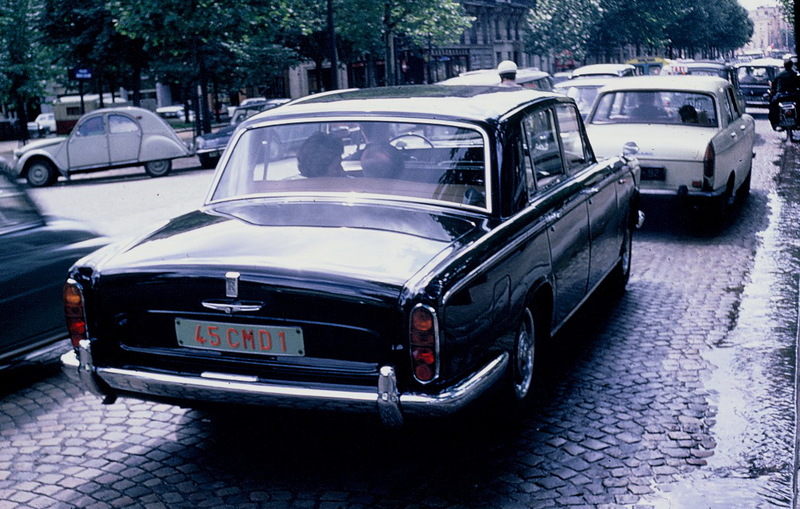 As anytime in such case, the vehicles could be imported into or bought in France (what is likely the case of the Renault 4L). The CD was in addition for differentiating members of Diplomatic Corps from other categories. No blocking, no country coding. 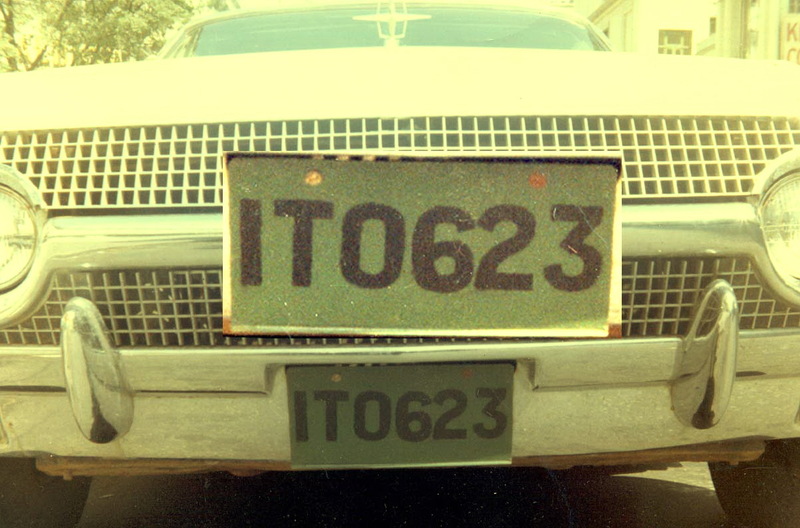 During the same time, red TT plates were used for (i) a vehicle temporarily imported by a tourist on a tax free basis – even if the application of TT plates in that segment diminished a lot thanks to the application of Conventions on road traffic (ii) a vehicle bought by a foreigner on a tax free basis with a view to export it himself – taxes would be paid at the arrival in the home country (iii) a vehicle hired on a tax free basis by a foreigner for a limited time as a vacation – taxes would never been paid on it and the vehicle would be resold in France as a used car after the vacation. Vic, your comment about the use of TT plates refered to categoy (ii) was right, in that particular use. Today, almost all TT plates belong to the category (iii), for non European Community members visiting France and adjoining countries. There are articles about these series in Newsletters, I can recommend them. 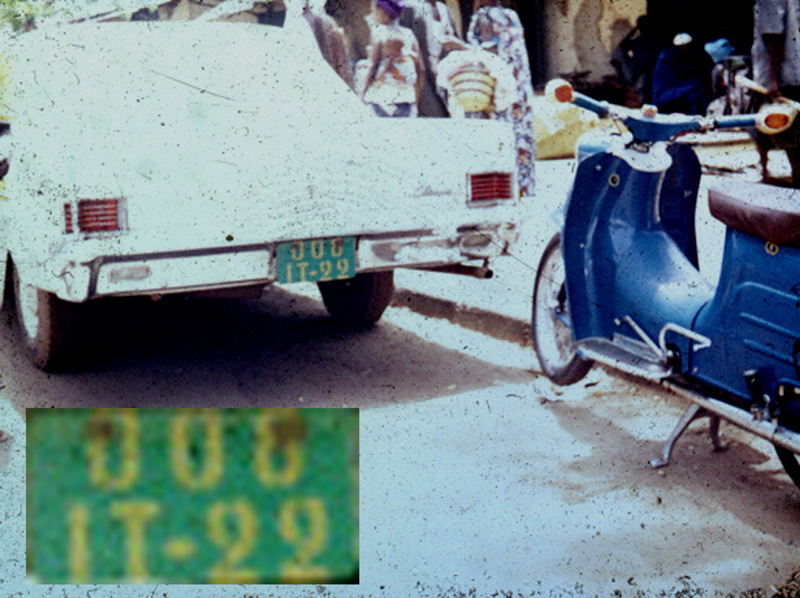 I don’t know if this is helpful to know, but the blue moped above is a Simson Schwalbe, built in German Democratic Republic (East Germany), a country which was heavy engaged in Angola, Somalia and Ethiopia.